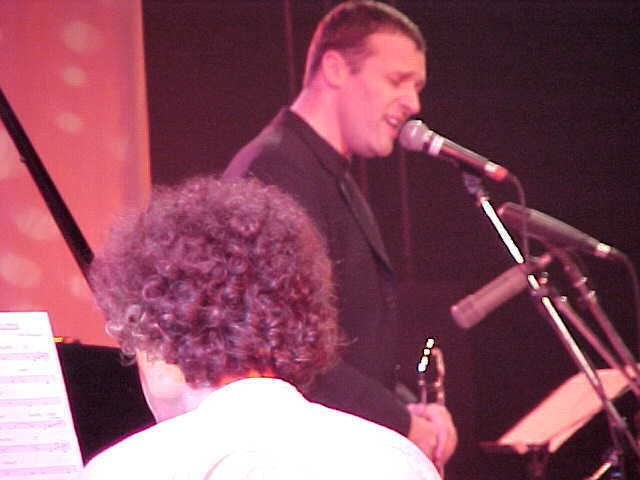 With Phil Abraham during the Django d'Or evening 2000. Michel Herr (piano) and Phil Abraham( trombone, vocals). Palais des Congrès, Brussels, October 26, 2000.